It's time to take a look at April on Turner Classic Movies -- a month that is better known as Ray Milland Month to his many fans. 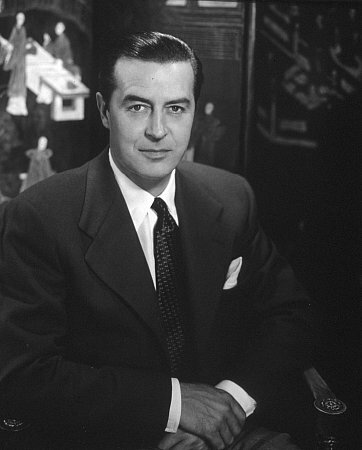 That's right, Ray Milland is Star of the Month, and I'll be writing more about that in the next few days. Fortunately, after being down for a couple of weeks, TCM seems to have fixed most of their broken links. Schedule links are still iffy, but the link for the complete April schedule seems to be in working order. ...Jane Powell and Debbie Reynolds share an April 1st birthday, and TCM will devote most of Friday to celebrating. I especially recommend one of their costarring films, TWO WEEKS WITH LOVE (1950), airing early on the 1st. That's the one where Debbie introduced "Aba Daba Honeymoon." ...The pick of the day on Saturday the 2nd is ON DANGEROUS GROUND (1952), a superb film noir with Robert Ryan, Ida Lupino, Ward Bond, a Bernard Herrmann score, and gorgeous black and white photography of snowy scenes. Don't miss it. It also airs very early on April 29th. ...Fans of Robert Taylor, Joan Crawford, Greer Garson, and/or Herbert Marshall should enjoy WHEN LADIES MEET (1941) on April 4th. I found it a lot of fun when I saw it a couple years ago. ...Tuesday, April 5th, is a great day -- it's my oldest son's 19th birthday, and TCM will be celebrating 110 years since the birth of Melvyn Douglas. A whopping 10 Douglas films will be shown; I'll be recording several titles which are new to me. Douglas titles being shown which I've previously reviewed include SHE MARRIED HER BOSS (1935) with Claudette Colbert, AND SO THEY WERE MARRIED (1936) with Mary Astor, THEODORA GOES WILD (1936) with Irene Dunne, and the very enjoyable yet relatively unknown GOOD GIRLS GO TO PARIS (1939) with Joan Blondell. Rev up the DVR for this day! ...April 7th the birthday boy is James Garner, who just announced he'll publish his autobiography this fall. 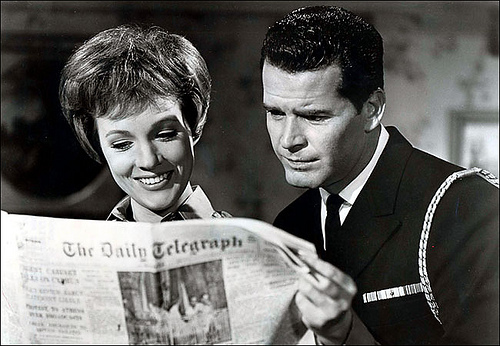 The six Garner films shown that day include the first of three films he made with Julie Andrews, THE AMERICANIZATION OF EMILY (1964) -- which coincidentally also stars Melvyn Douglas -- and BOYS' NIGHT OUT (1962), reviewed here earlier this month. Andrews, incidentally, will be writing the introduction to Garner's book. ...April 8th is one of those obscure little films I love recording from TCM: BRIDAL SUITE (1939), starring Robert Young and Annabella. ...April 10th will be a change from the schedule published in the Now Playing guide, a 24-hour tribute in honor of Elizabeth Taylor. Details were posted here last week. 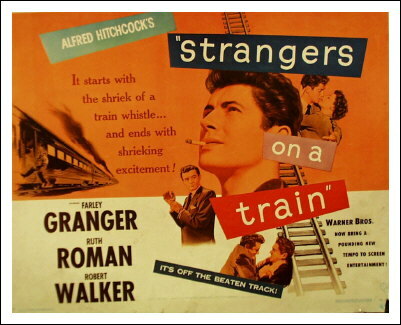 Ironically, one of the films originally scheduled for the 10th was STRANGERS ON A TRAIN (1951), starring Farley Granger, who passed away just days after Taylor. Hopefully TCM will arrange for a Granger tribute soon. 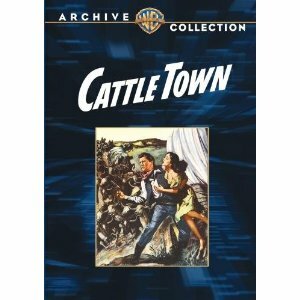 ...Those of us who love Dennis Morgan's megawatt smile can enjoy him in CATTLE TOWN (1952) on Monday, April 11th, and then move on to Randolph Scott in THUNDER OVER THE PLAINS (1953). ...STAGE DOOR (1937) is one of my favorite films of the '30s. What a cast! Ginger Rogers (at her wisecracking best), Katharine Hepburn, Eve Arden, Lucille Ball, and Ann Miller. It's the start of a 9-film birthday tribute to Ann Miller on April 12th which ranges from her earliest work at RKO to one of her best films at MGM, KISS ME KATE (1953). ...Shirley Temple's birthday is later in April, but TCM is celebrating early, on April 13th. The six films shown that day will be LITTLE MISS MARKER (1934), THE POOR LITTLE RICH GIRL (1936), HEIDI (1937), THE LITTLE PRINCESS (1939), KATHLEEN (1941), and SINCE YOU WENT AWAY (1944), which had a great impact on me when I saw it for the first time last Thanksgiving. ...WALKING ON AIR (1936), showing on April 15th, is one of those fun discoveries that makes TCM so special. It's a 70-minute comedy starring Ann Sothern and some fabulous Art Deco sets. That film is followed by a very interesting lineup of pre-Codes and other obscure films, such as RENO (1939) with Gail Patrick and Anita Louise. ...Powell and Pressburger's THE TALES OF HOFFMAN (1951), starring Moira Shearer, will be on April 17th. 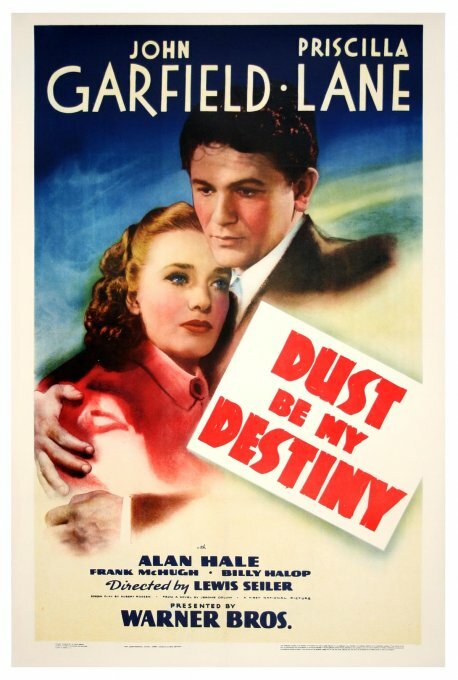 ...On the 18th is another especially interesting daytime lineup which includes John Garfield and Priscilla Lane in DUST BE MY DESTINY (1939), plus two other Garfield films. ...Franchot Tone, Madge Evans, and Joseph Calleia in EXCLUSIVE STORY (1936) is on my calendar to record on April 19th. ...An evening of films set in China includes Frank Borzage's CHINA DOLL (1958), starring Victor Mature. It airs on the 21st. 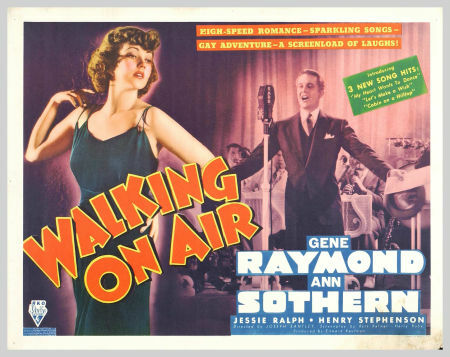 ...On April 23rd I'll be recording PAINTING THE CLOUDS WITH SUNSHINE, a musical with Dennis Morgan, Virginia Mayo, and Gene Nelson. The cast also includes Virginia Gibson, who was in last night's film, GOODBYE MY FANCY (1951); she later danced in SEVEN BRIDES FOR SEVEN BROTHERS (1954). ...On April 26th one of the most interesting films looks to be THE GAY SISTERS (1942), with Barbara Stanwyck, George Brent, and Geraldine Fitzgerald. Also worthwhile that day: AND ONE WAS BEAUTIFUL (1941), starring Laraine Day and Bob Cummings. 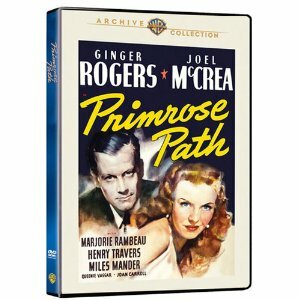 ...I recommended THE ROMANCE OF ROSY RIDGE (1947) last March and mention it again this year. It's a lovely piece of post-Civil War Americana featuring a sweet performance by Janet Leigh in her film debut. It will be shown on the 27th. ...One of my favorite days on the schedule is "Royal Romance," scheduled to take place April 29th, the same day as the wedding of Prince William and Catherine Middleton. The five films scheduled are ROYAL WEDDING (1951), which takes place at the time of the wedding of William's grandmother, the present Queen; the classic ROMAN HOLIDAY (1951); THE GLASS SLIPPER (1955), a Cinderella story with Leslie Caron; THE SWAN (1956), which found Grace Kelly playing a princess shortly before she became one in real life; and Norma Shearer in THE STUDENT PRINCE IN OLD HEIDELBERG (1927). As always, this barely touches all the great things in store on TCM next month. Happy viewing! 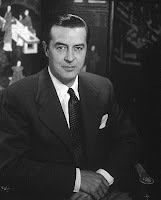 Update: TCM Star of the Month: Ray Milland. 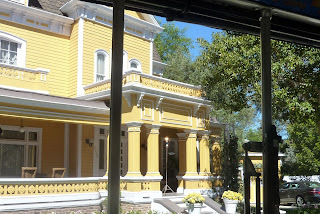 We spent a pleasant day today at Universal Studios in Universal City, California. We took our youngest son and a friend in celebration of our son's recent birthday. One of the perks of homeschooling is going to a theme park on a weekday! We saw everything the boys were interested in in about five hours. It was a nice day but I was frankly glad we hadn't needed to purchase tickets, thanks to friends who work on the lot. I would not recommend paying full price given the limited entertainment options, particularly for those who aren't interested in THE SIMPSONS, SHREK, or the House of Horrors. In fact it was interesting, some family-friendly attractions I'd heard about over the years, such as E.T. and BACK TO THE FUTURE, came and left without my ever having seen them. If you're a paying customer looking for a full day of entertainment, Disneyland or Knott's Berry Farm are better options. 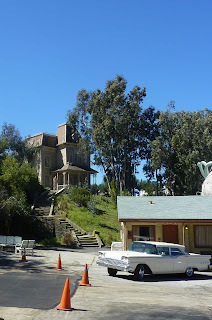 That said, it was a beautiful, sunny day; it was great to take a break from the work and school routine and see the Universal lot for the first time in many years! 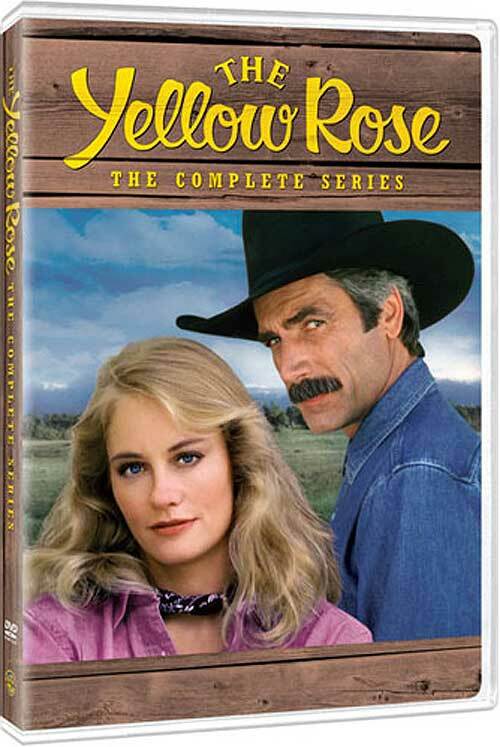 This has been a day for good news: first, hearing that James Garner is publishing his autobiography later this year, and then tonight learning that the season-long show THE YELLOW ROSE is coming to DVD via Warner Archive. Somehow I'd missed the news when it was published at TV Shows on DVD earlier this month, but I received the good word from Ivan at Thrilling Days of Yesteryear. The five-disc set will be released May 3rd. 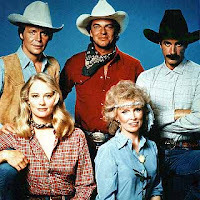 Primetime soap operas were all the rage in the early '80s, and THE YELLOW ROSE, which ran from 1983 to 1984, was a melding of continuing storylines with the TV Western. It was about a ranching family with complicated relationships; Colleen Champion (Cybill Shepherd) is romantically torn between her late husband's sons from earlier relationships, Roy (David Soul) and Chance (Sam Elliott). 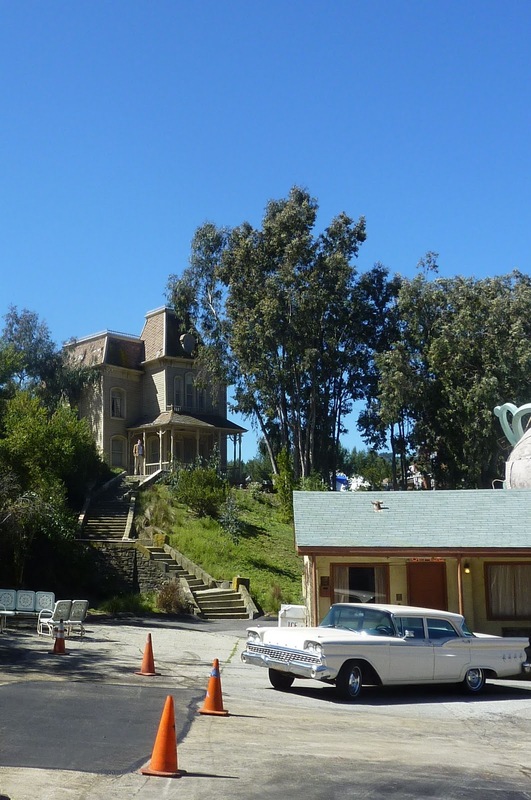 (The illegitimate Chance showing up at the ranch seemed perhaps inspired by THE BIG VALLEY.) No question who I'd choose! 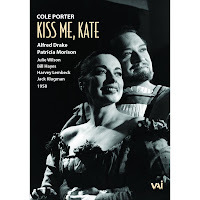 This type of show seems perfect for Warner Archive, as a single-season show might be a hard sell for a regular retail release, but the series has fans like me who would love to revisit it. Maybe there's eventually hope for the post-WWII series HOMEFRONT, which ran two seasons in 1991-1993. You'd think Kyle Chandler (FRIDAY NIGHT LIGHTS) being one of the stars might be a selling point...and John Slattery of MAD MEN was another cast member. Apparently Warner Bros. has the rights. Hmmmmm...Warner Archive, are you reading this?! GOODBYE, MY FANCY is an interesting, if not completely satisfactory, film about a woman with a successful professional life but a habit of running out on challenging relationships and personal situations. It's the story of Congresswoman Agatha Reed (Joan Crawford), who returns to her alma mater to receive an honorary degree. She accepts in part with hopes of reuniting with her college love, Jim Merrill (Robert Young), who is now the university president. Agatha is trailed for the weekend by Matt Cole (Frank Lovejoy), a LIFE magazine photographer who had a relationship with Aggie a few years previously and is still carrying a torch for her. 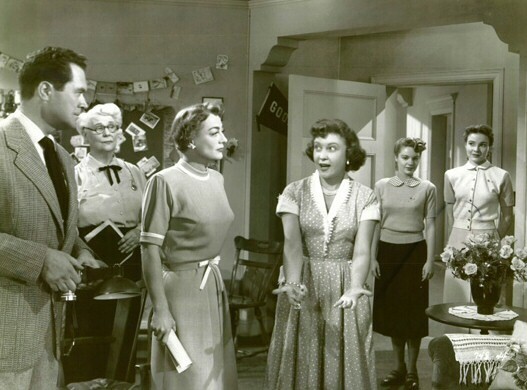 I expected the film to be a bit more of a lighthearted romantic comedy, given the premise, the college campus setting, and especially the fact that wisecracking Eve Arden is along for the ride, playing Aggie's secretary. The campus is indeed filled with effervescent young women like Mary Nell Dodge (Virginia Gibson of SEVEN BRIDES FOR SEVEN BROTHERS) and Jim's daughter Virginia (Janice Rule, in her first year in films), but on the whole the film is a fairly somber affair. Crawford always attracts the audience's attention, but her character is perpetually oh-so-serious, which becomes a bit tiresome. She's melodramatically happy about things like seeing her dorm room for the first time in decades, but never seems to convey an authentic sense of joy. And frankly it's hard to have a great deal of sympathy for a woman who's jilted not just one but two men, or to understand why they both want her back so many years later. Is she really that fascinating? When she contemplates running off without giving her commencement speech, regardless of the disappointment of all the graduates, I didn't feel much respect for her character. As a side note, I've never understood why actresses like Crawford and Barbara Stanwyck prematurely aged themselves with such matronly hairstyles in the early '50s. For that matter, Robert Young is very obviously wearing makeup to age him behind his actual early 40s; it's interesting that a makeup job to age him as Shirley Temple's minister father in ADVENTURE IN BALTIMORE (1949) made him look distinguished, but here it's been laid on with a trowel. Unfortunately neither of the film's leading men come off very well. Young's character is a bit of a bore, and Lovejoy's know-it-all cameraman is simply annoying. And there are unanswered questions, such as why did Matt (Lovejoy) wait six years to decide he couldn't live without Aggie? There are other questions, such as why was dingy Ellen Griswold (Lurene Tuttle), Aggie's roommate back in the day, such a good friend then? And if they were good friends, why didn't they keep in better touch? Much of the film's second half is occupied by Aggie and a self-satisfied physics professor (Morgan Farley) lecturing about "academic freedom" and the "right" of professors teaching any subject to inject politics into the classroom. This political indoctrination is given the more admirable label "teaching students to think," and the board member (Howard St. John) who is concerned is portrayed as a blowhard buffoon. All of which caused me to contemplate that perhaps the more things change in Hollywood, the more they stay the same! 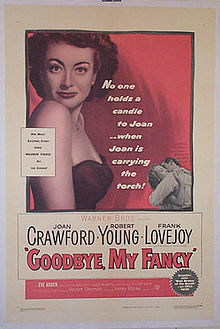 GOODBYE, MY FANCY was based on a play by Fay Kanin, originally performed on Broadway with Madeleine Carroll, Shirley Booth, Sam Wanamaker, Conrad Nagel, and Bethel Leslie in the roles played by Crawford, Arden, Lovejoy, Young, and Rule. Some of the movie scenes are quite theatrical in nature, with a good deal of "speechifying," although the filmmakers tried to open it up a bit by filming several scenes outdoors. Watch for Ann Robinson (WAR OF THE WORLDS) as the very dramatic Drama Club representative who welcomes Aggie to campus. The cast also includes Ellen Corby, John Qualen, and Viola Roache. 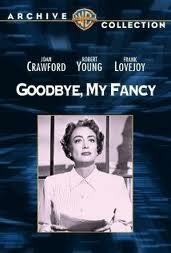 GOODBYE, MY FANCY was directed by Vincent Sherman. It runs 105 minutes. This film is available on DVD-R from the Warner Archive. It's also been shown on Turner Classic Movies. 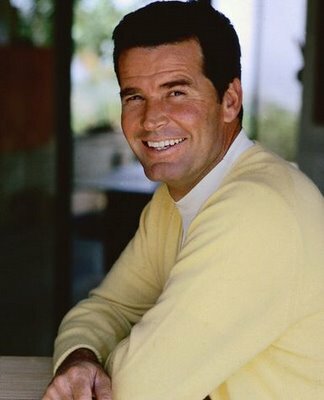 There's terrific -- and somewhat unexpected -- news today from the L.A. Times: James Garner will publish his memoirs this fall. THE GARNER FILES: A MEMOIR will be released on November 8, 2011. It's a bit surprising coming from the private, self-effacing actor. In the press release Garner says "...I didn’t think anyone would care about my life. I’m still a little uncomfortable, but I finally agreed, because people I trust persuaded me people might be interested and because I realized it would allow me to acknowledge those who’ve helped me along the way. I talk about my childhood, try to clear up some misconceptions, and even settle a score or two." The Amazon listing indicates that Garner's good friend Julie Andrews is writing the book's introduction. I'll be watching for further details. As a huge Garner fan, this is a book I'll definitely be pre-ordering! August 2011 Update: Per the Amazon listing, the publication date has been moved up a week, to November 1st. 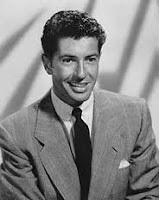 More sad news today for classic film fans -- news is breaking this evening that actor Farley Granger has passed away at the age of 85. Granger's film career began in the 20th Century-Fox WWII drama THE NORTH STAR (1943), costarring Dana Andrews and Anne Baxter. Granger worked again with Andrews in EDGE OF DOOM (1950), as well as the touching Korean War drama I WANT YOU (1951). 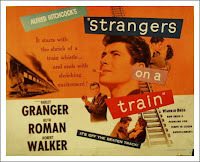 His most famous film role came starring in Hitchcock's STRANGERS ON A TRAIN (1951) with Robert Walker. This is a Hitchcock film I still haven't seen, and at the start of the year I put it on a list of 10 movie classics I hope to see in 2011. Granger also notably costarred with Cathy O'Donnell in the classic film noir titles THEY LIVE BY NIGHT (1949) and SIDE STREET (1950). Over the years Granger appeared in a variety of good movies; some of his other films included Hitchcock's ROPE (1948), the romantic drama ENCHANTMENT (1948), THE GIRL IN THE RED VELVET SWING (1955), and a pair of early '50s Technicolor films from MGM, SMALL TOWN GIRL (1953) and THE STORY OF THREE LOVES (1953). 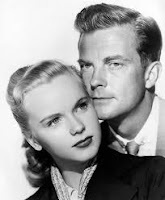 I particularly remember Granger from OUR VERY OWN (1950), a sudsy adoption melodrama starring Ann Blyth which played on TV regularly when I was a teen. Starting in the mid-'50s Granger transitioned to working chiefly in television, where his credits included shows I enjoyed such as an episode of ELLERY QUEEN and the 1978 TV miniseries BLACK BEAUTY. Thanks for the memories, Mr. Granger. Update: The Hollywood Reporter has now posted an obituary. Tuesday Update: The L.A. Times posted their obituary today. Susan King of the Los Angeles Times previews the 13th Annual Noir City Festival, opening in Hollywood this Friday evening, April 1st. 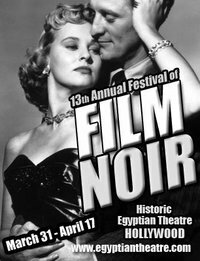 King interviews the Film Noir Foundation's Eddie Muller and Alan K. Rode about some of the titles to be screened at the Egyptian Theatre next month. Incidentally, one of those titles, THIS WOMAN IS DANGEROUS (1952), aired on Turner Classic Movies yesterday. I recorded it for future viewing -- unless, of course, I happen to have the time to see it at the Noir City Festival -- and it was reviewed today by Ivan at Thrilling Days of Yesteryear. The movie stars Joan Crawford and Dennis Morgan. As I mentioned in passing near the end of this weekend's roundup post, I'll be attending the opening night screenings of HIGH WALL (1947), a favorite Robert Taylor-Audrey Totter film, which is paired with an Anthony Mann "B" movie, STRANGERS IN THE NIGHT (1944). Both films will be shown in restored 35-millimeter prints. I have tickets for three other evenings during the festival. If my schedule permits, I might try to attend another double bill or two spontaneously, if tickets are available, but I'll have to see how April unfolds. There's really nothing like seeing a mint condition 35-millimeter print on the big screen! This evening was the final night of the UCLA Festival of Preservation, and we had a marvelous time seeing a beautifully restored 35-millimeter print of Cecil B. DeMille's THE CRUSADES. As I watched this excellent film at the Hammer Museum's Billy Wilder Theater, I reflected that as much as I appreciate the access we have to see countless movies at home, there is simply nothing quite like the experience of seeing a beautifully projected 35-millimeter print in the dark with an audience. The glowing black and white beauty of the huge "silver screen" has an impact which simply isn't possible at home. Watching films at home can be special too, of course, but seeing a number of films on the big screen in recent months has underscored for me part of the reason I remember similar experiences from my teen years so vividly. Those large black and white images shining in the dark have a way of burrowing into the memory banks and staying there. 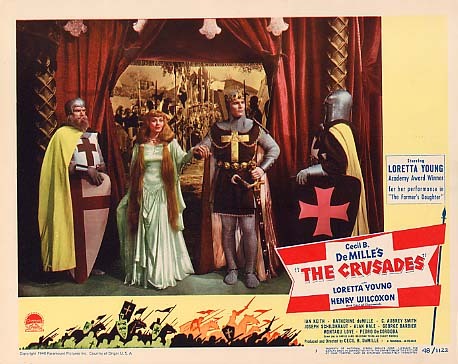 I should make it clear at the outset that I am responding to THE CRUSADES strictly as a film and am making no judgments about its historical accuracy, or lack thereof. As a movie, this film is DeMille at his best -- a gripping story which balances the proverbial cast of thousands with a more intimate, tenderhearted tale of romance and Richard the Lion Heart's burgeoning religious belief. I had found Henry Wilcoxon a bit of a goofball at times in CLEOPATRA (1934), but I must say I was pleasantly surprised and quite impressed with his performance as King Richard. Richard begins as an oafish, rather immature man not especially cognizant of his responsibilities as king. 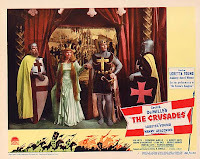 He undertakes the Crusade not out of religious faith, but as a means of legitimately escaping his betrothal to waspish Princess Alice of France (Katherine DeMille, the director's adopted daughter). 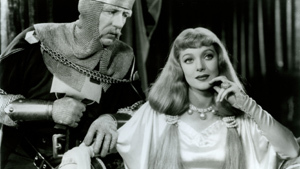 To Richard's surprise, marching off to the Crusades leads him not only to the love of his life -- the exquisitely beautiful Loretta Young as Berengaria, Princess of Navarre -- but to true religious faith and understanding. The film's final scenes touched me deeply and made my eyes mist a bit, as did an earlier sequence where, under deep political pressure to cast aside his wife, he not only refuses but instead crowns her as his co-sovereign. Wilcoxon does a superb job believably depicting Richard's gradual transformation from an irresponsible rabble-rouser into a true hero. I'm very glad I had another opportunity to judge his acting skills as he is excellent in this film. Loretta Young was the epitome of star power, particularly in the '30s. 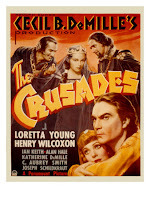 She was just 22 when she starred in THE CRUSADES, but she already had dozens of credits. I'm not sure how many actresses could have successfully carried off this particular role. 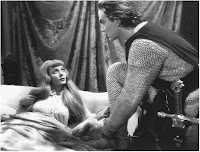 Berengaria is no meek heroine, but a woman of nerve who spars with the large, potentially terrifying Richard and who calmly drinks from a glass of water to assure Saladin (Ian Keith) it's not poisoned. Berengaria is also quietly religious and eventually deeply in love. No one else in Hollywood had Young's soulful eyes or could have conveyed these aspects of Berengaria's character so beautifully. The sacrifices she is prepared to make for her husband and for peace seem completely authentic as portrayed by Young. Loretta Young was, in fact, in the early stages of her pregnancy with Clark Gable's child when she filmed THE CRUSADES, and her peaceful countenance throughout the film does not reveal the enormous stress she was under off the screen. 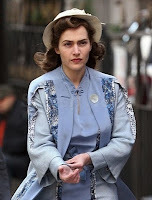 Some actresses of the era are known to have had multiple abortions, but Young never considered that an option. As recounted in UNCOMMON KNOWLEDGE and FOREVER YOUNG, upon completion of THE CRUSADES Young and her family undertook an elaborate plan to cover up the pregnancy, which simultaneously allowed Young to keep her daughter Judy (whom she was said to have adopted) and saved both her career and Gable's -- which also gave her the means to support her child. It was, needless to say, quite a different era. The supporting cast of THE CRUSADES is excellent, including Ian Keith as Saladin, Sultan of Islam, who is ultimately proven to be a more sympathetic and nuanced character than one might expect. Sir C. Aubrey Smith is also effective as "the Hermit," who persuades the kings of Europe to go to war to free the Holy Land. Richard's retinue includes Alan Hale and William Farnum; his nemesis, Philip of France, is played by C. Henry Gordon. Joseph Schildkraut, Ramsay Hill, Montagu Love, Hobart Bosworth, Mischa Auer, and George Barbier are also among the very large cast. This is the third DeMille film I've seen in a theater in the past six months, and like his other movies, I tend to think that this film is one which would have its dramatic power somewhat diminished on a small screen. Truth be told, I found the film overly violent in a couple of spots, but my 13-year-old son had no such qualms (grin); for the most part we both thoroughly enjoyed it. I love that a film released over 75 years ago still has the power to hold multiple generations spellbound for over two hours; the film clocks in at 125 minutes. 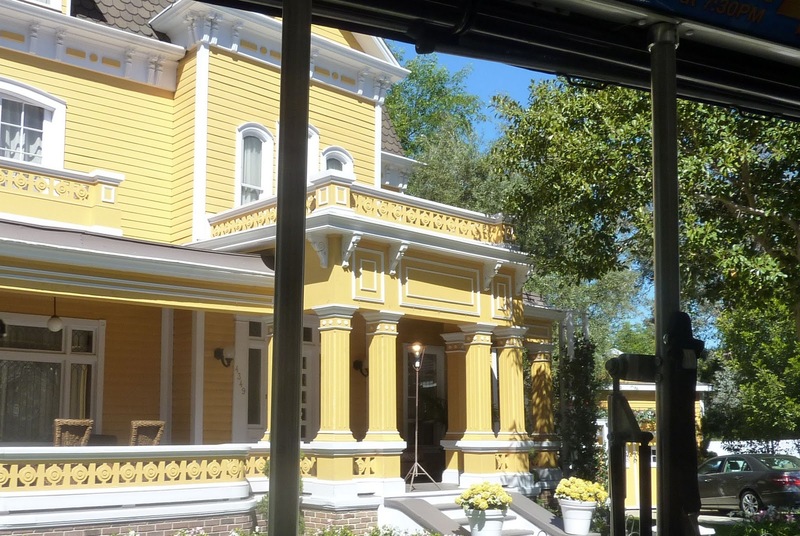 The film's sweep is such that we chuckled when we overheard someone in the theater say at the conclusion, "Compared to this, GONE WITH THE WIND seems like a little movie now!" The movie has also had a release on VHS. 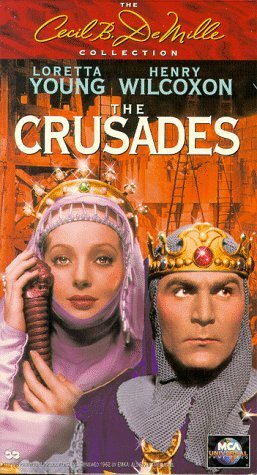 As a side note, tonight's print of THE CRUSADES was preceded by a brief DeMille-narrated prologue added for a rerelease in the late '40s. 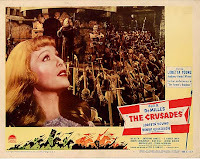 This evening THE CRUSADES was preceded by a restored print of the short HOLLYWOOD EXTRA GIRL (1935), about a young background extra (Suzanne Emery) from Central Casting dreaming of a big break while working on THE CRUSADES. The cast includes Ann Sheridan, not playing herself, but appearing as another extra named Genevieve. 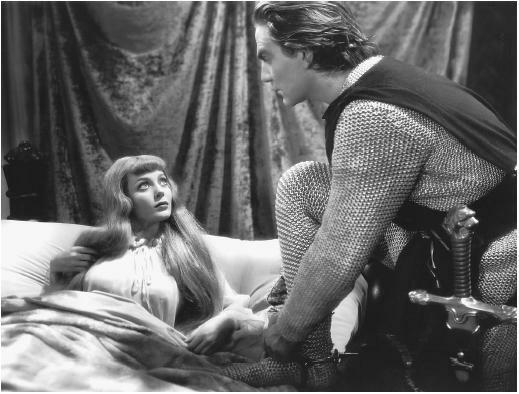 Sheridan also appears in THE CRUSADES -- though not as an extra, but in a speaking role as a distraught slave girl in the movie's opening scenes. 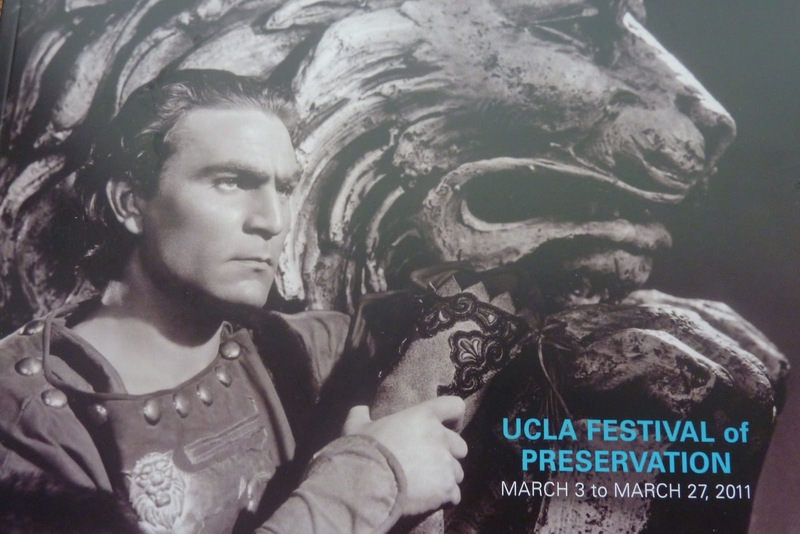 Related posts: Tonight's Movie: Cry Danger (1951) at the UCLA Festival of Preservation; Tonight's Movie: Cleopatra (1934) at the Egyptian Theatre; Tonight's Movie: The Ten Commandments (1956) at the Egyptian Theatre. 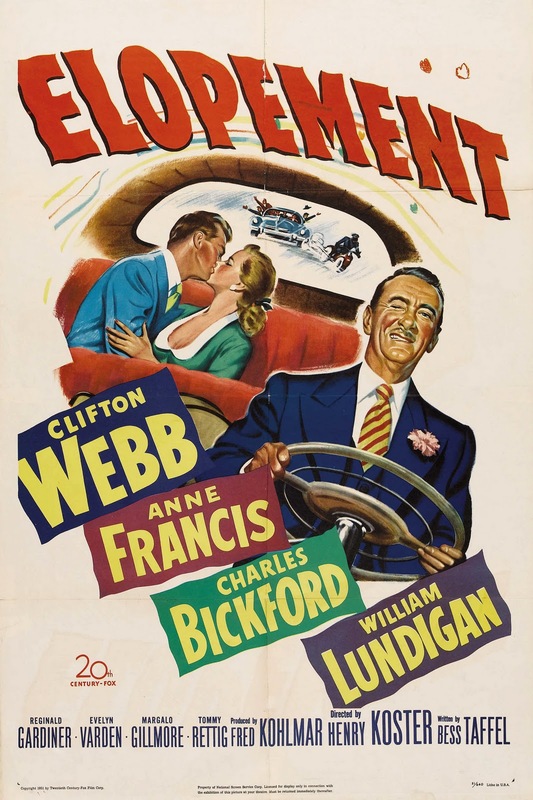 ELOPEMENT is a fun spin on 20th Century-Fox's string of collegiate-themed films of the late '40s through mid-'50s. Jacqueline "Jake" Osborne (Anne Francis) graduates at the head of her college class and plans to head for Sweden to study industrial design. At her graduation dance, Jake and her psychology professor, Matt Reagan (William Lundigan), confess their secret love for one another, and they decide to elope. ELOPEMENT is one of those relatively unsung little films which isn't a classic but succeeds as a very enjoyable 82 minutes of family entertainment. The script is well-paced and has some nice bits -- a scene near the end with Jake and her parents is especially well done -- and everyone in the cast makes a strong contribution. Beautiful young Anne Francis was 21 when she filmed ELOPEMENT; her leading man, William Lundigan, was 37. Both are highly appealing as the young lovers; Lundigan's Matt is so handsome and thoughtful that it's very clear why Jake would want to marry him! The four actors playing the parents are all quite good; I especially enjoyed Margalo Gillmore as Jake's mother. 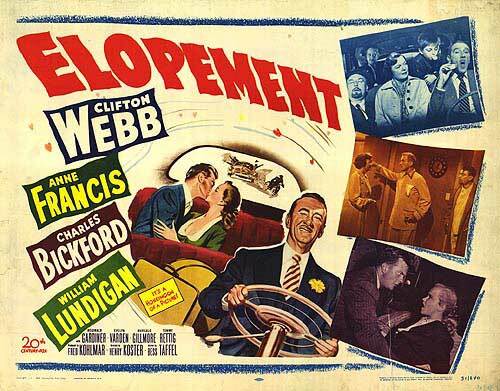 Webb's sly final line, referencing another of his films, must have been a guaranteed crowd-pleaser back in 1951. 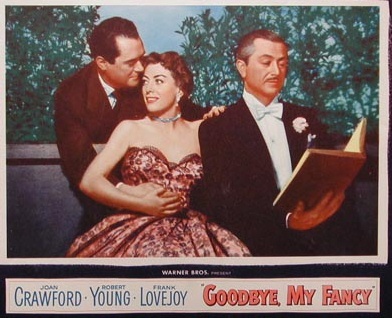 The year after ELOPEMENT, Webb and Francis again played father and daughter in the amusing Fox college-set comedy DREAMBOAT (1952). 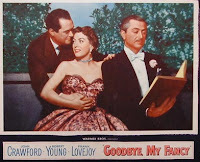 Reginald Gardiner steals the movie as Jake's tolerant godfather, who offers droll commentary and a voice of sanity as the couple's parents react to news of the elopement. ELOPEMENT has the typical classy early '50s Fox production values, including atttractive black and white photography by Joseph LaShelle. 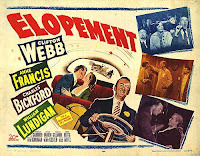 Webb's character is a famous architect and industrial designer; the film's unique art direction was by Lyle Wheeler and Richard Irvine, with set decoration by Paul S. Fox and Thomas Little. Tommy Rettig plays Lundigan's little brother, and J. Farrell MacDonald and Julia Dean play a kindly farm couple. The cast also includes Frank Ferguson, Norman Leavitt, Robert Foulk, and Howard Price. ELOPEMENT was directed by the underrated Henry Koster, whose credits include the Christmas perennial THE BISHOP'S WIFE (1947). Koster's THE UNFINISHED DANCE (1947) will be released this week in a remastered print from Warner Archive. 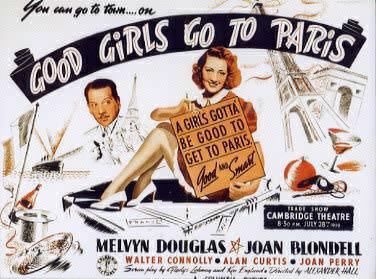 Previous reviews of films directed by Henry Koster: THREE SMART GIRLS (1936), ONE HUNDRED MEN AND A GIRL (1937), THE RAGE OF PARIS (1938), THREE SMART GIRLS GROW UP (1939), FIRST LOVE (1939), IT STARTED WITH EVE (1941), THE LUCK OF THE IRISH (1948), COME TO THE STABLE (1949), NO HIGHWAY IN THE SKY (1951), and THE POWER AND THE PRIZE (1956). ELOPEMENT can be seen periodically on Fox Movie Channel. 2012 Update: ELOPEMENT is now available on DVD-R via the Fox Cinema Archives. 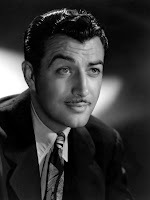 ...Here's a great Internet find: ROBERT TAYLOR OF BEATRICE: THE NEBRASKA ROOTS OF A HOLLYWOOD STAR by E. A. Kral. It was published in NEBRASKA HISTORY. ...This is also the second week in a row for a story on In-N-Out Burger. (Last week's is linked here.) The Orange County Register's Fast Food Maven, Nancy Luna, ran an interesting story on Puritan Bakery, which supplies In-N-Out with their hamburger buns. Puritan also serves Fatburger, Johnny Rockets, and other chains. ...What will happen to fashions on MAD MEN as the series moves into the late '60s? 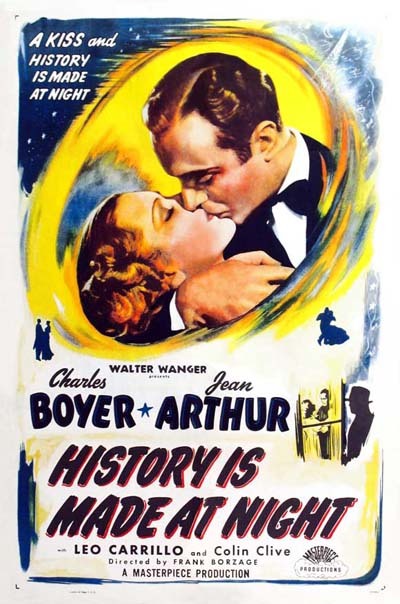 ...Last month I did my best to convince Jacqueline to write about a favorite film, Frank Borzage's HISTORY IS MADE AT NIGHT (1937), at Another Old Movie Blog. What a nice surprise to click on her blog last Monday morning and find her post on the movie! Her detailed analysis is thoroughly enjoyable, and (as usual) she makes some terrific points. ...And my thanks to Toby at 50 Westerns From the 50s for linking to my review of SHOOT-OUT AT MEDICINE BEND (1957). Toby also remembers it as feeling like watching a Warner Bros. TV Western. He posted a nice still of Randolph Scott in the movie. ...Greenbriar Picture Shows has a very interesting post on the marketing campaign for Hitchcock's I CONFESS (1953). ...VivandLarry.com takes a look at MADONNA OF THE SEVEN MOONS (1945), a Gainsborough film starring Stewart Granger, Phyllis Calvert, and Patricia Roc. ...The World Figure Skating Championships, which had been scheduled for Tokyo right about now, will be relocating to Moscow in late April. France, which is due to host the World Championships starting March 26, 2012, graciously has offered to give up their hosting rights if Japan would like to host the championships next year. ...I'm curious about the new film version of JANE EYRE (2011)...but not curious enough to see it before it hits Netflix. Here's a review by Todd McCarthy in the Hollywood Reporter. ...Starting next month, Starz will institute a 90-day delay before movies and TV shows in their library can be shown on Netflix. 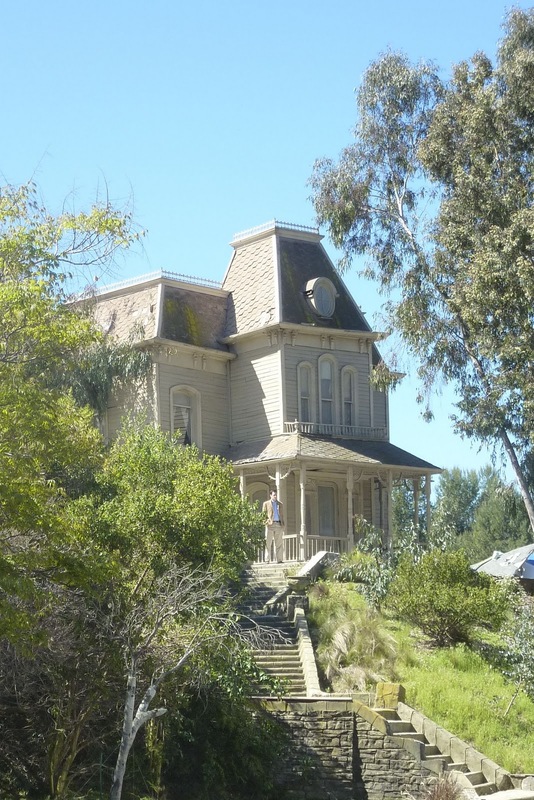 According to Home Media Magazine, "The altered arrangement would also include future first-run movies from Disney and Sony, which are contractually distributed by Starz." 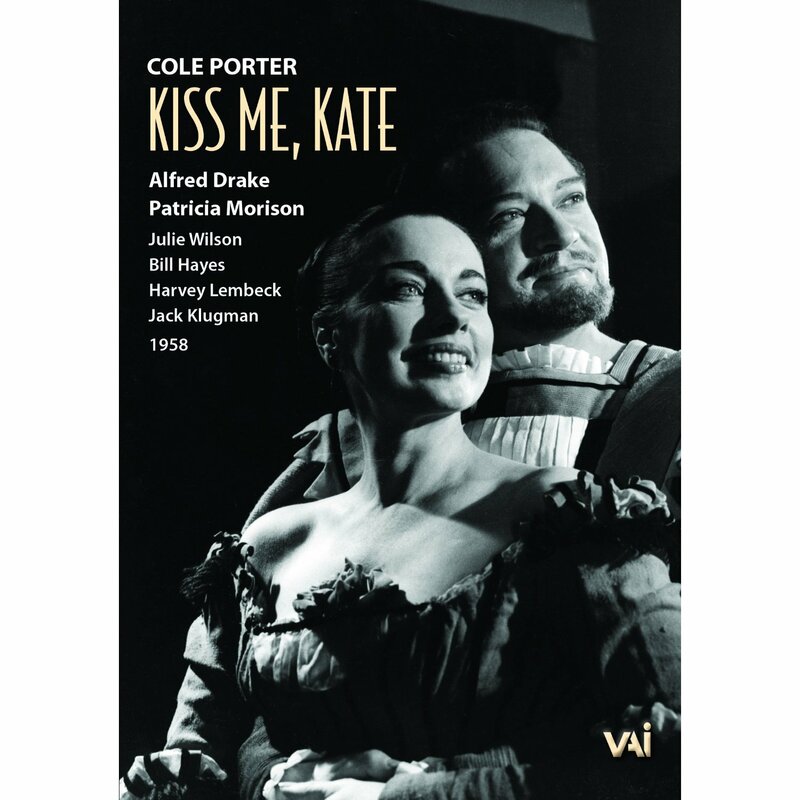 ...Here's a very interesting recent DVD release, a 1958 Hallmark Hall of Fame production of KISS ME, KATE, with the original Broadway leads, Alfred Drake and Patricia Morison. There's also been a release of a 1955 TV production of THE DESERT SONG starring Nelson Eddy. I hope to check these out at some point, and I also hope there will be similar future releases of rare TV productions. 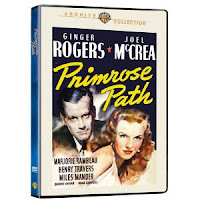 ...Reviews, reviews, and more reviews: Mike Clark, a favorite reviewer from his days at USA Today, reviews Warner Archive's PRIMROSE PATH (1940) and SUNDAY IN NEW YORK (1963) at Home Media Magazine...DVD Legion reviews Frances Dee and Ginger Rogers in FINISHING SCHOOL (1934)...Barrie Maxwell has a number of interesting reviews in his latest column at the Digital Bits site, including his take on CRY WOLF (1947), which generated a lot of discussion when I reviewed it last week...Riding the High Country reviews a film on my "to see" list, DEAD RECKONING (1947), starring Humphrey Bogart and Lizabeth Scott...and at the New York Times, Dave Kehr reviews "made on demand" Westerns including THE NEVADAN (1950), starring Randolph Scott, and STARS IN MY CROWN (1950), with Joel McCrea. ...The USC School of Cinematic Arts pays tribute to composer Maurice Jarre on Sunday, April 3rd. Three films will be screened on the USC campus in Los Angeles that day, including LAWRENCE OF ARABIA (1962). ...Alert for Southern Californians: the American Cinematheque is looking for volunteers for the Egyptian and Aero Theatres. 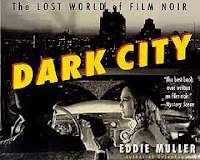 ...More news for Southern Californians: on Thursday, March 31st, the Film Noir Foundation's great Eddie Muller will be signing his excellent book DARK CITY: THE LOST WORLD OF FILM NOIR at Larry Edmunds Bookshop. 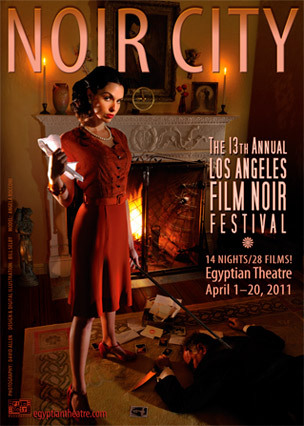 The following evening the 13th annual Noir City Festival opens a couple of blocks away at the Egyptian Theatre. I'll be there Opening Night for the double bill of HIGH WALL (1947) and Anthony Mann's STRANGERS IN THE NIGHT (1944). Both will be shown in brand-new restored prints. 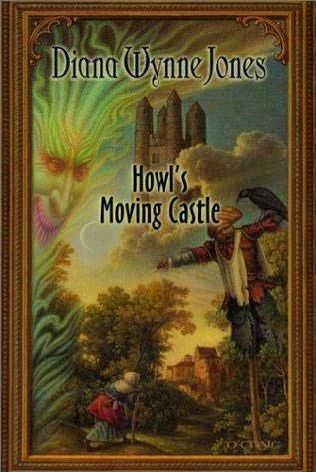 ...Notable passing: Diana Wynne Jones, the British author of HOWL'S MOVING CASTLE and other well-known fantasy books, has passed away at the age of 76. ...I was also sorry to learn of the passing of former Vice Presidential candidate Geraldine Ferraro at the age of 75. Our politics are poles apart, but I enjoyed her in her role as a commentator on Fox News Channel. Ferraro had battled multiple myeloma for over a decade. ...My very great thanks to Monty of All Good Things for awarding me the Stylish Blogger Award. What a lovely compliment! I encourage classic film fans to check out Monty's photo-filled blog, which I've been regularly visiting for a couple of years now.